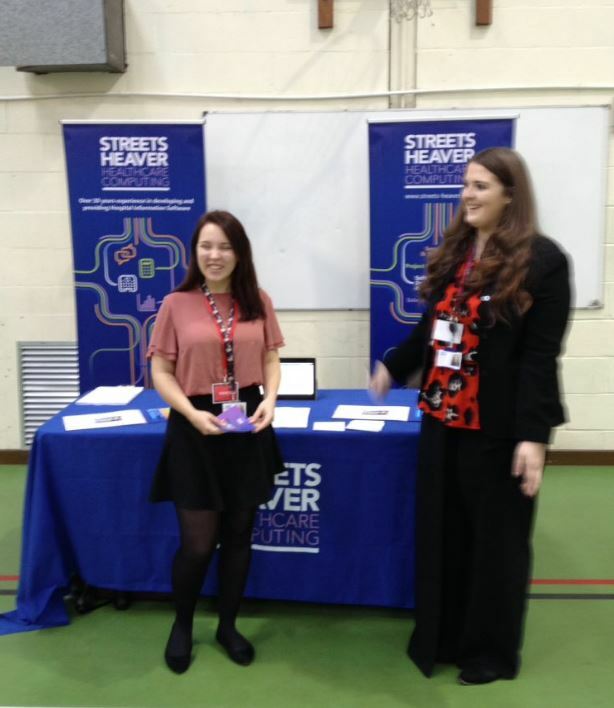 Myself, Lucy and Candy recently showcased Streets Heaver at the Sir Robert Pattinson Academy, for their annual careers fair. Students from the Academy get the chance to speak to Local Employers, Colleges, Universities and Training Providers amongst others in the Academy’s sport hall. Each year group, from Year 7 to Year 13, have a timetabled slot. Year 7 and 8 can take the opportunity to find out the types of jobs and career paths available to them. Years 9 – 13 tend to investigate progression routes, career options and apprenticeship opportunities. We gained a lot of interest and was asked some good questions. What Streets Heaver does? What do we have to offer? As well as the different job roles across the departments. For the older students, our apprenticeship scheme was the main talking point. Many of them were keen to know the different areas in which they could work. Then how that related to an actual job in real life. We found the female students thought that I.T. was, in general, overly male dominant. So it was particularly enlightening for them to have three female opinions on the strength and opportunities available for women in the technology work-space. Year 7 and 8 was more curious about I.T. and open to new technology. They discussed what they are currently working on within their lessons, using software called ‘Scratch’. And then went on to say they even started to learn coding in Primary school. Year 8 informed us that they are currently learning ‘HTML and CSS’ for creating websites! I found that I personally, also gained a lot out of the Career’s Fair. Having been an ex-student, studying I.T. at Sir Robert Pattinson Academy, I was able to talk about the steps I followed finishing school to gain a career in IT. Heading to college and University and then the path that led me to Streets Heaver. I could also use my new-found knowledge of healthcare, and Compucare – our in-house software package – to explain what I do and what the company has to offer future generations.